: A gala event that includes a cocktail hour, dinner, dancing with live music by local favorite Class Action, as well as a silent auction and many beautiful prize baskets. 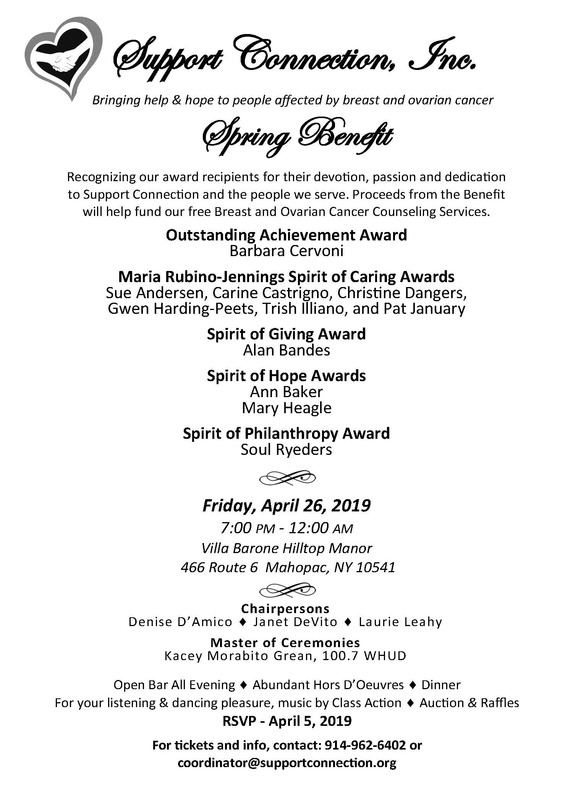 A highlight of the evening is the presentation of Support Connection’s Annual Spirit Awards. Proceeds will benefit Support Connection’s free support services and programs for people affected by breast and ovarian cancer.